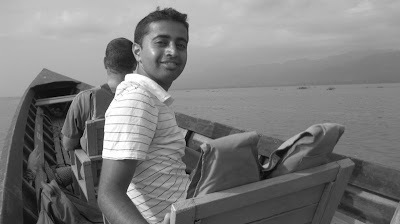 The time I spent and the people I met at Hemalkasa and Anandwan during the tail-end of my 4-month India trip. Spending time with Siya, and then Neev after he was born in April. Planning and executing my longest solo backpacking trip to Thailand, Myanmar (Burma), Laos and Vietnam. 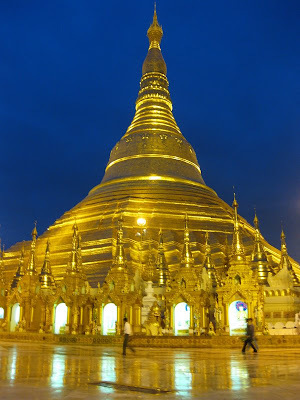 Seeing the magnificent Shwedagon Pagoda for the first time in Rangoon, Burma. Eating delicious dosa in an Indian restaurant in Rangoon. The hospitality shown by a street-side vendor in Rangoon while I had a late night dinner. 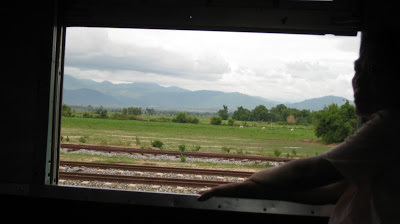 A twelve hour back-braking train journey in 3rd class from Rangoon to Thazi in Burma. 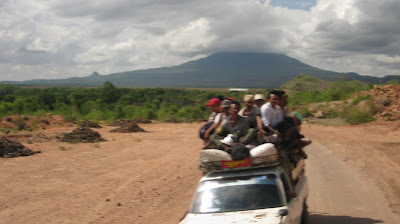 Riding on the roof of a share-taxi (jeep) while on the way to Nuang-U in Burma. 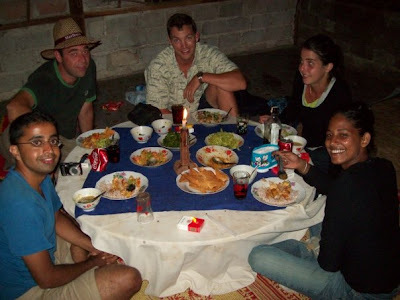 Trekking in Burma with an amazing group of people. 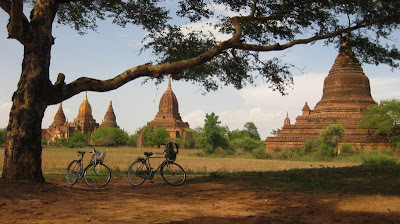 Cycling to see the UNESCO World Heritage Temples of Bagan in Burma. The sights and scenery seen during a 10-hour boat tour of the Inle lake in Shan state, Burma. Sippin’ on chai in one of Burma’s many tea shops. Feeling a bit nervous when we were all made to get off the bus in the middle of the night (~2:00AM) by Burmese government officials for passport checking while on the way to Rangoon from Inle lake. Feeling lost on a bus from Rangoon to Kyaiktiyo where nobody spoke English and all the signs and numbers were in Burmese. The truck journey up the mountain from Kinpun to the Golden Rock. Staying in a hotel in Kinpun (Burma) that turned out to be the most filthy ever! 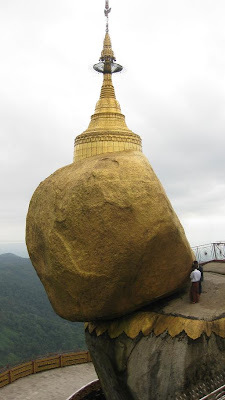 Seeing the “Golden Rock” – a truly magical place. Watching a Hindi movie, Baazi, inside a freezing movie theatre in Rangoon – the a/c was going on full blast and it felt like there was a winter storm inside! The temperature outside was 30’+C. Reading the Ramayana along the Mekong river in Luang Prabang, Laos, while sippin’ on a cup of ice coffee. 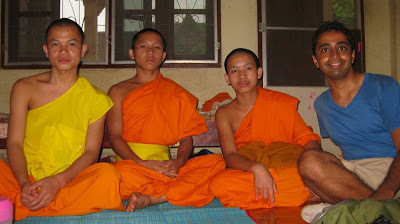 Chatting with three Laotian monks for almost two hours in one of Vientian’s oldest monasteries while it rained outside. Cycling in Luang Prabang, Laos, and seeing one of the most beautiful waterfalls I’ve seen: Kuang Si falls. 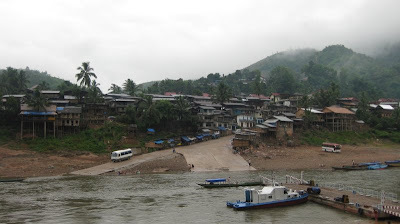 The picturesque Muong Khoa village in Northern Laos. 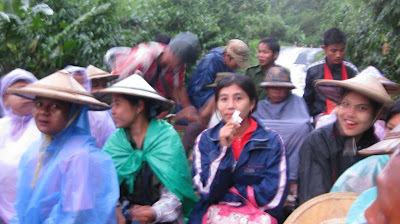 The three day bus journey to cross into Northern Vietnam from Laos with many roadblocks/breakdowns and change of buses on the way. Climbing alone the highest peak of Vietnam, Mt. Fansipan (Phan-xi-păng), in 12 hours in a continuous heavy downpour with the most beautiful waterfalls all around. Having the most delicious margarita pizza in the town of Sapa the day after climbing Mt Fansipan (Phan-xi-păng). 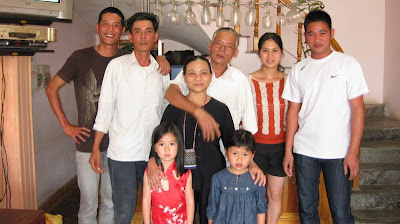 The hospitality shown by a Vietnamese family in whose hotel I stayed at in Sapa, Vietnam. 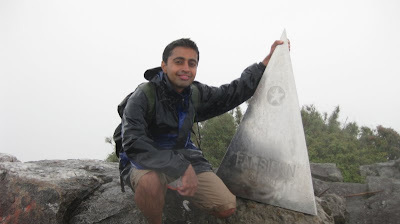 The girl in red/white lent me her brother’s jacket without which I would’ve frozen to death on my trek up Mr. Fansipan. Sharing a train cabin with two lady boys during an overnight journey from Lao Cai to Hanoi in Vietnam. Watching some really awesome movies at home while searching for a job. Landing my first contract as a Market Risk Management Business Consultant with one of Canada’s largest banks.